If you are a jailbreaker and don’t know about Intelliscreen then you are missing out! 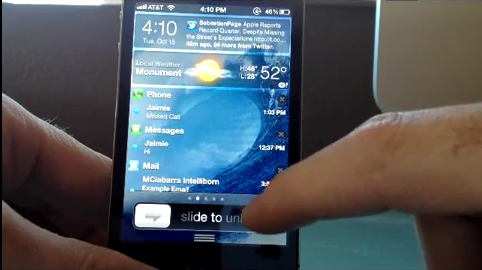 Intelliscreen basically brings all of the important things to the lockscreen and is very user friendly. Anyways, a new version of Intelliscreen for iOS 5 is on the way and it looks awesome! The tweak will be named IntelliscreenX and will take effect in your notfication center in iOS 5. This tweak, again, looks incredible and is going to be a must-have tweak for your device. I will let the video tell the story. The developers at Intelliborn tell us (as you may have heard in the video) that the public release of IntelliScreenX should be sometime next week. We will update you once we know more.